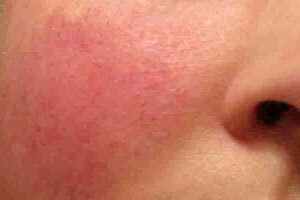 Rosacea is a skin condition characterised by facial redness and sometimes pimples. Rosacea typically begins as redness on the central face across the cheeks, nose, or forehead, but can also less commonly affect the neck, chest, ears, and scalp. In more chronic cases additional symptoms, such as semi-permanent redness, small red bumps, red gritty eyes, burning and stinging sensations, and in some advanced cases, a red lobulated nose, may develop. 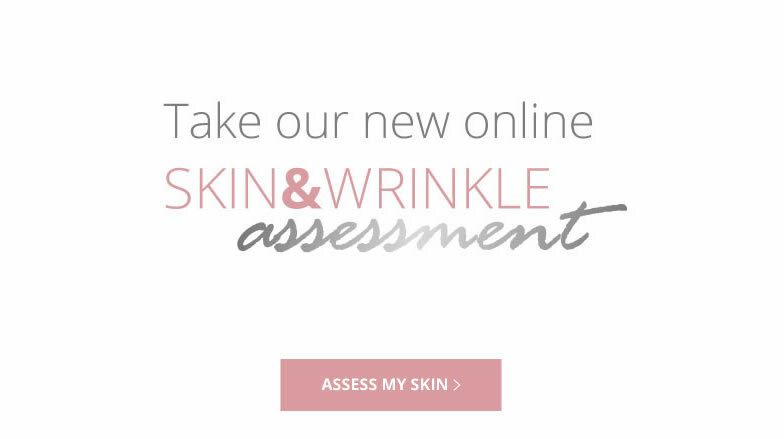 Rosacea can occur in both men and women and typically symptoms appear in our 30’s-50’s. Women are more commonly affected than men due t o hot flushes caused by menopause, however, it is often less severe in women than in men. Triggers that cause episodes of flushing and blushing play a part in the development of rosacea. Exposure to temperature extremes can cause the face to become flushed as well as strenuous exercise, severe sunburn, stress, and anxiety. There are also some food and drinks that can also trigger flushing, including alcohol, caffeine, and spicy foods.